SIMCom Wireless Solutions is the leader in high quality wireless modules for different technology platforms in GSM/GPRS/EDGE Module, WCDMA/HSPA and TD-SCDMA. By partnering with third parties, SIMCom Wireless provides customized design solutions in M2M, WLL, Mobile Computing, GPS and other applications. SIMCom Wireless also provides ODM services for customers. I2R Labs can supply range of modules SIM600, SIM 700,SIM700D from SIMCOM at highly competitive pricing. 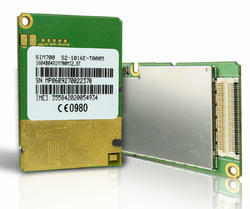 The new EDGE module is a complete Quad-Band GSM/GPRS/EDGE solution in a compact plug-in module. Featuring an industry-standard interface, it delivers GSM/GPRS/EDGE 850/900/1800/1900MHz performance for Data, Voice, SMS, and Fax in a small form factor and with low power consumption. The leading features of the Module make it ideal for M2M applications like AMR, POS, Security and AVL etc. 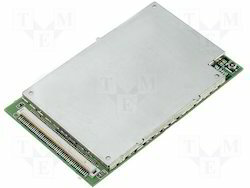 The new EDGE module is a complete Quad-Band GSM/GPRS/EDGE solution in a compact SMT module. Featuring an industry-standard interface, it delivers GSM/GPRS/EDGE 850/900/1800/1900MHz performance for Data, Voice, SMS, and Fax in a small form factor and with low power consumption. The leading features of the module make it ideal for applications, such as PC card, USB modem, handheld devices. 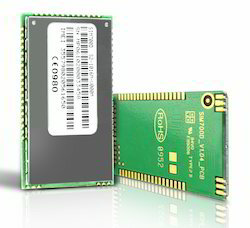 Looking for SIMCOM GSM GPRS Edge Module ?